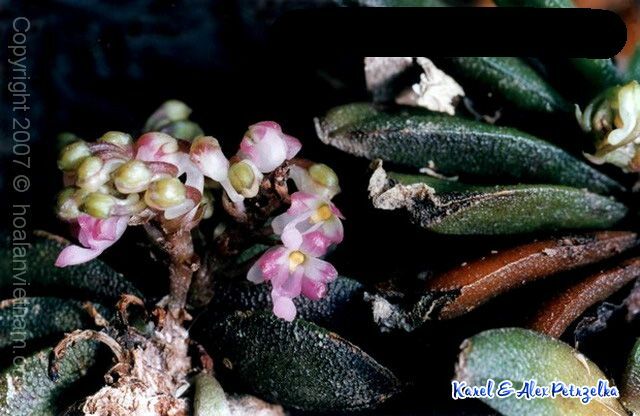 Found in southern Yunnan province of China and Vietnam at forest margins on trees at elevations of 900 to 1400 meters as a mini-miniature sized, warm to cool growing epiphyte with a very short, inconspicuous stem enveloped by leaf bearing sheaths and carrying nearly basal, dark green, oblong to elliptic, flat, thickly textured, wrinkled, obtuse and unequally bilobed apically leaves that blooms in the later spring on an axillary, pendulous, fleshy, ribbed, racemose, .4 to .8" [1 to 2 cm] long, densely many flowered inflorescence with yellowish green, lanceolate, acute floral bracts and carrying slightly fleshy flowers that do not open well. CAUTION !!!!! 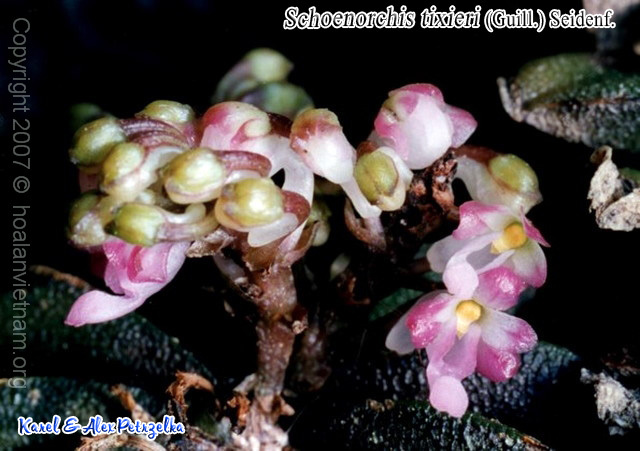 Kew has now included this species as a synonym of S fragrans but I have kept them separate for now pending more research.